This collaboration is arguably one of the best at Mister Donut! The chain is partnering once again with Gion Tsujiri, a reputable tea manufacturer from Uji City in Kyoto Prefecture. The area is so respected for matcha production that Uji Matcha is the prime choice for ceremonial tea. 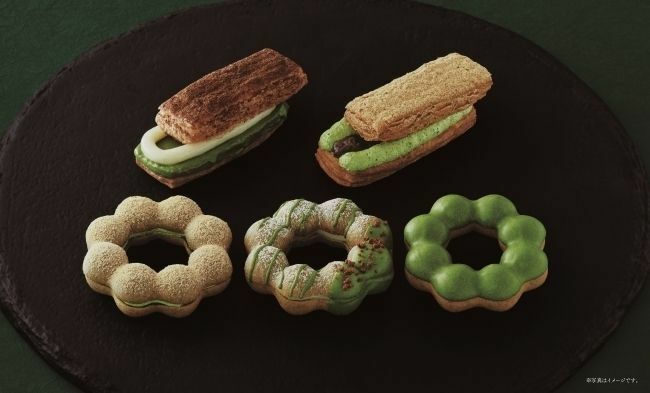 The "matcha sweets premium" line-up created through this collaboration will be available from April 4th to mid-June at Mister Donut branches all across Japan. The season corresponds to the spring harvest of matcha. 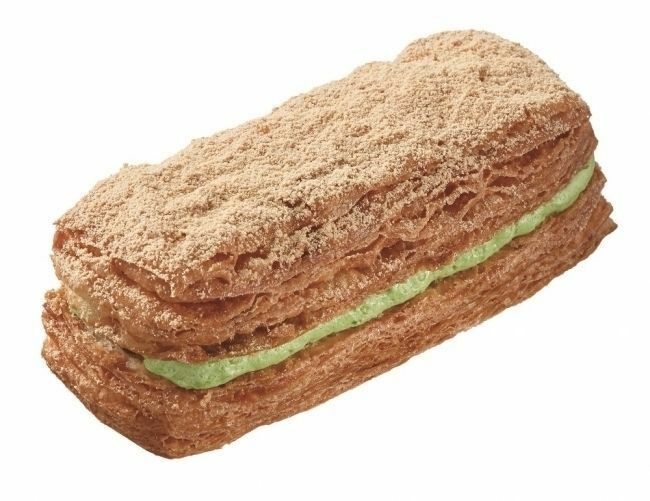 The theme this year is a fusion of traditional Japan with western pastries, so you'll find items such as this incredibly tantalizing Uji Matcha Tiramisu Danish (¥216). 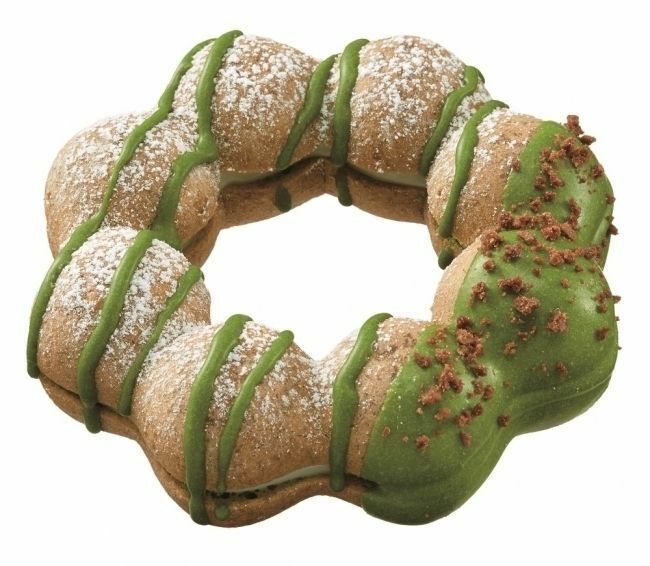 It has a crispy flaky texture of a Danish-style dough sandwiching a layer of matcha-infused chocolate and a layer of mascarpone cream cheese. 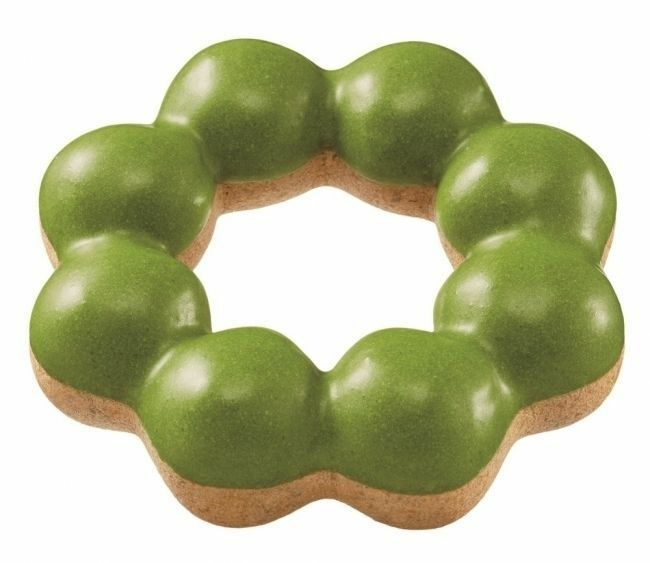 The Uji Matcha Adzuki (¥216) Danish has the matcha in the mascarpone cream cheese and a layer of adzuki sweet bean paste. Of course, there will be the classic Pon-De-Ring style donuts! 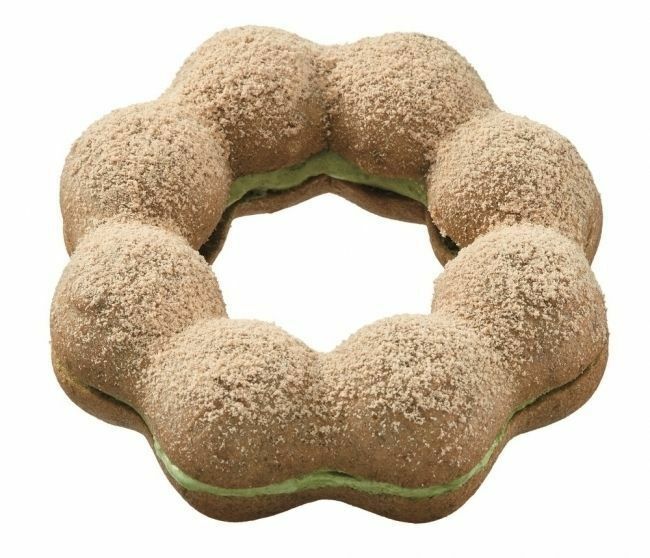 This Pon-De-Uji (¥151) has Matcha added to the dough as well as the chocolate coating. This Pon-De-Uji Mascarpone (¥183) is a bonified version of the one just mentioned with some mascarpone cream cheese stuffed inside! 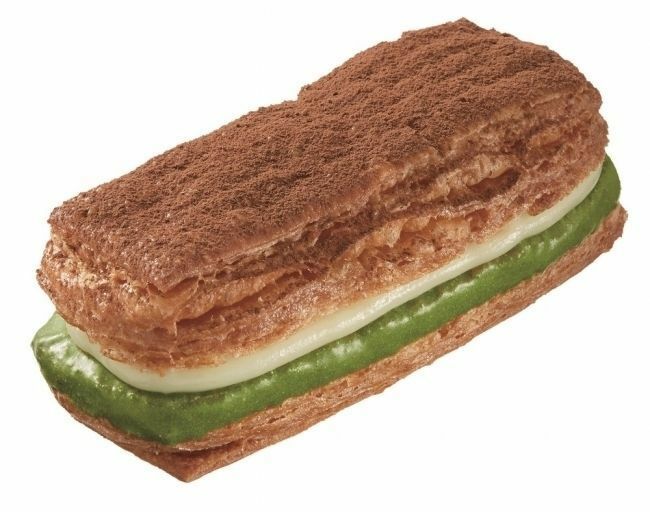 The Pon-De-Adzuki (¥183), for its part, is stuffed with adzuki sweet beans and matcha whipped cream. Doesn't sound bad at all! Enjoy them while they last! From April 4th to mid-June.